This is going to be a slightly shorter blog post than normal but here are some more photos taken around the Edinburgh Fringe Festival. As you can see from this and the last blog post there’s a lot of things to see and do. 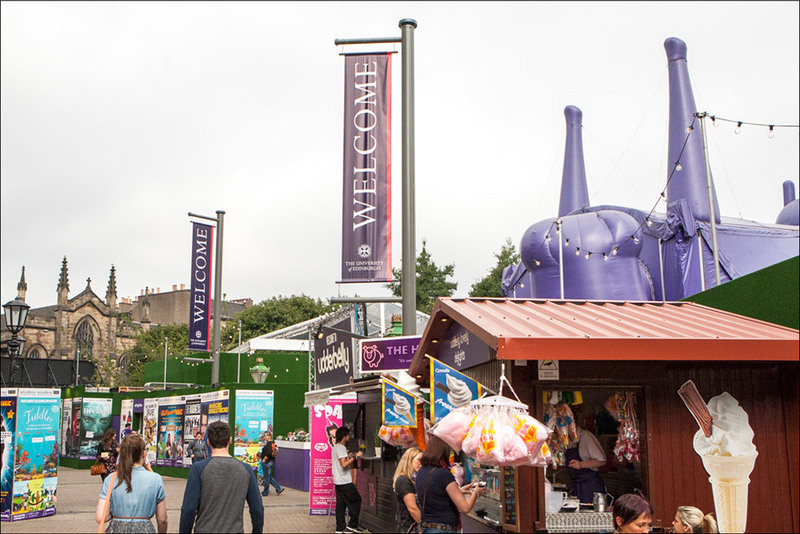 One part of the Fringe we hadn’t checked out before was the Underbelly around the University of Edinburgh. This was really cool as it was basically a giant purple inflatable cow and there were loads of bars and things around. Another thing I thought was really cool was the Gilded Garden. Again somewhere I haven’t seen before but the Gilded Garden contained some bars and loads of vendors selling food ranging from hog roasts to burgers and the usual festival kind of food. A final thing to note was the George Street Festival which we had never seen before. George Street is the really expensive shopping part of Edinburgh. There are lots of restaurants, including the awesome looking Dome Restaurant, and many designer shops. This year (this may have happened in previous years) most of George Street was closed off to traffic and turned into an eating out area. 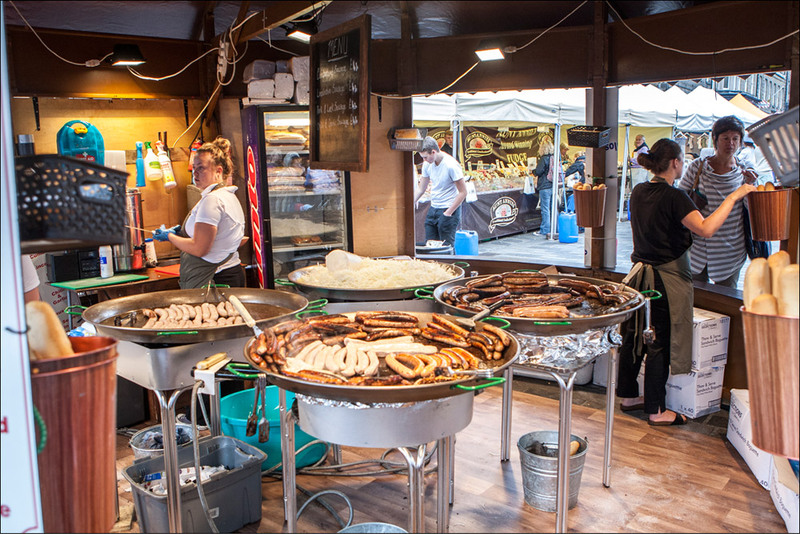 Restaurants brought their tables and marquees out and there were a number of pop up bars and stalls selling all kinds of things from fudge to hot dogs and more. Pretty cool. Next year, especially with Liv going to the University of Edinburgh, maybe we’ll see more of the festival but all in all it was a pretty cool festival. Again it seemed less exciting than last year and the tourists walking across the road thing I mentioned last time really annoyed the hell out of me. The next blog post will be the Edinburgh Fringe Festival / Edinburgh Tattoo finale. Every year at the castle they have a 45 minute long fireworks display which marks the end of the festival. I last saw this a couple years ago and really liked it so I’ll be there again this coming Sunday. The festival looks pretty crazy.